The country is suffering from a severe lack of spring time. Snow drifts in March! Bitter cold winds. Only a few miles up the road friends have been completely snowed in on their farm. Here in Clitheroe we haven’t had it as harsh as most of the country.I think our little town is kind of protected by the looming presence of Pendle Hill. Pendle from my work today. 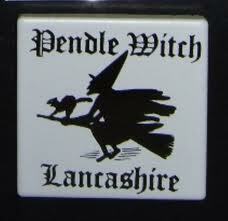 Pendle Hill is famous for its links with The Pendle Witch trials of the seventeenth century. Back in the 1600’s just being old, haggered and the owner of a couple of cats proved rather suspicous ( good job i’m alive and kicking in the 21st century then!) , eleven people from settlements in the area were condemmed to death after being accused of and put on trial for witch craft. 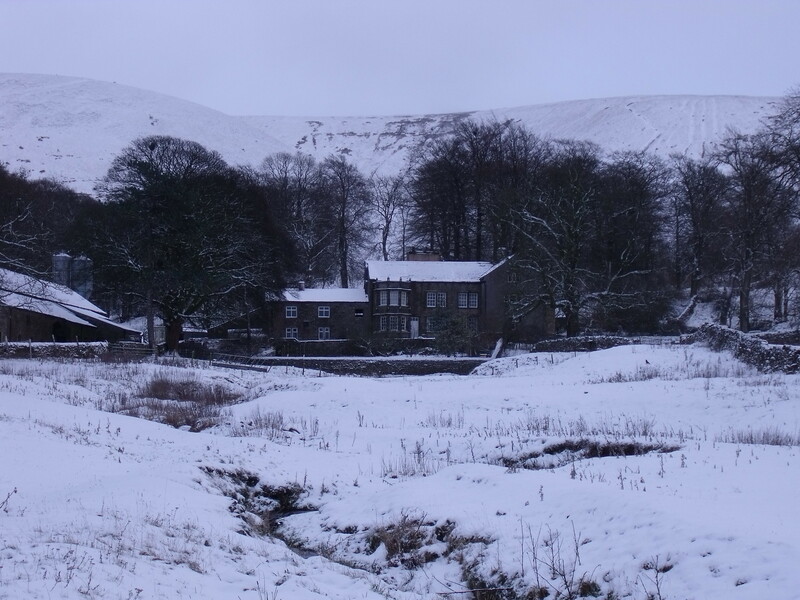 The farm I grew up on at the foot of Pendle Hill. I wonder if the shadowy specters of Alice Nutter and co still roam the hill side with their familiars? 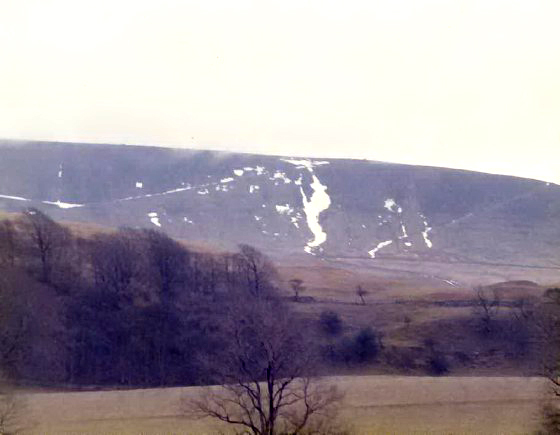 The eerie thing is occasionally as the last snow melts in the gully’s , a strange apparition appears on the hillside…….. Previous PostCats Sleep Anywhere.Next PostOtley, Ilkley and Betty’s. This isn’t too far from me. 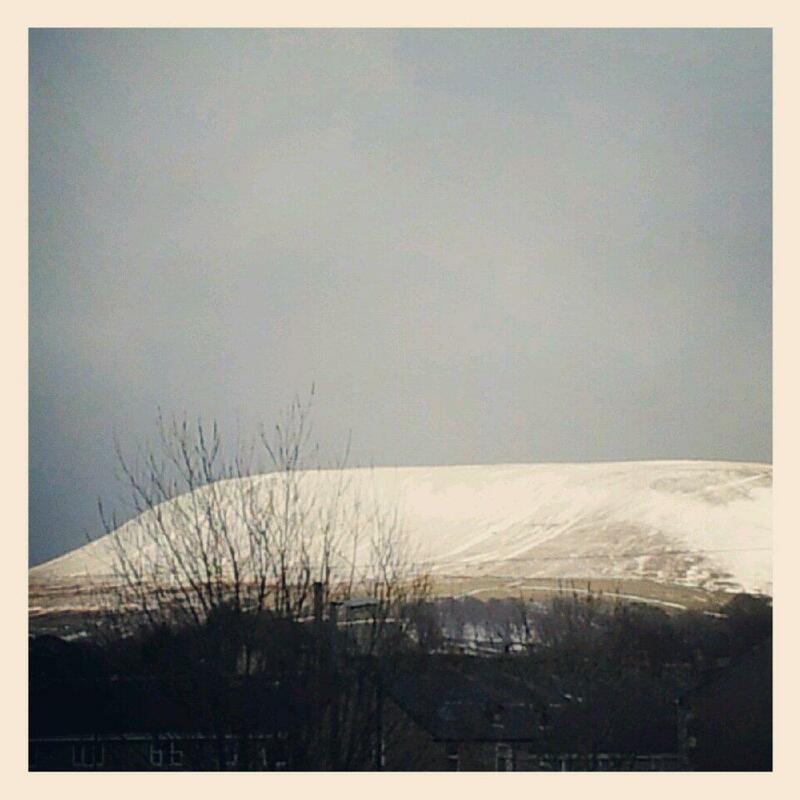 I’ve seen Pendle Hill from a distance, but never visited. But I have got a little too used to that snow covering as of late. It sometimes appears as the snow melts ….so you never know.The snow does need to melt soon! Wow – very evocative. I read Jeanette Winterson’s book on the witch trials this Christmas – ‘The daylight gate’ – and this place looks as bleak and forboding as she describes it. And what a farm! Trying to find a painting of this for my daughter ? I’m not sure if anyone has done a painting.Maybe get one comisioned off a photo online. Remember seeing that from Riversmead School, think I was 13 or 14 at the time.s.